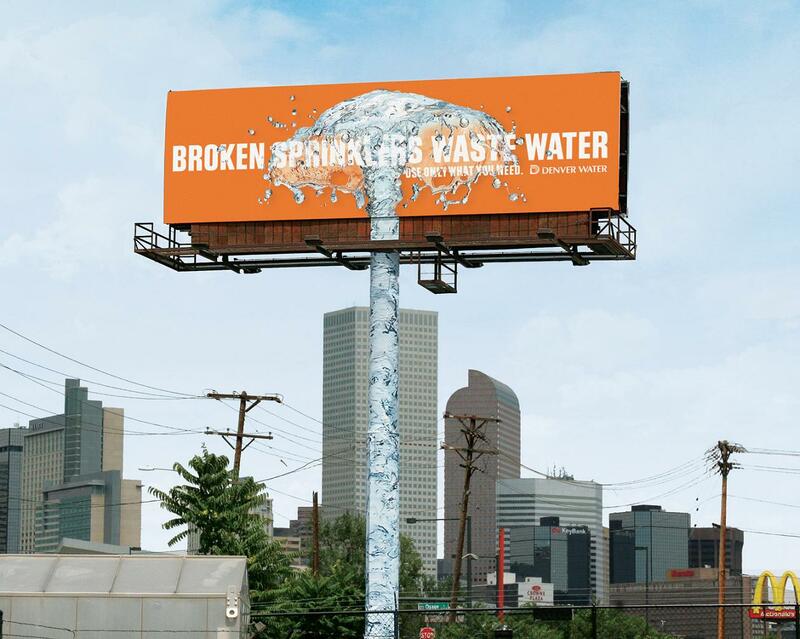 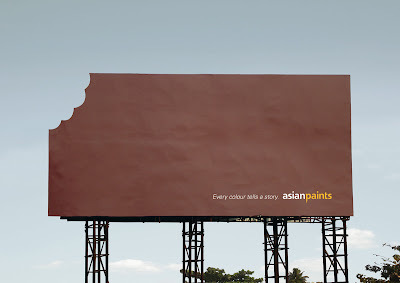 15 Clever and Cool Billboard Advertisements - Part 2. 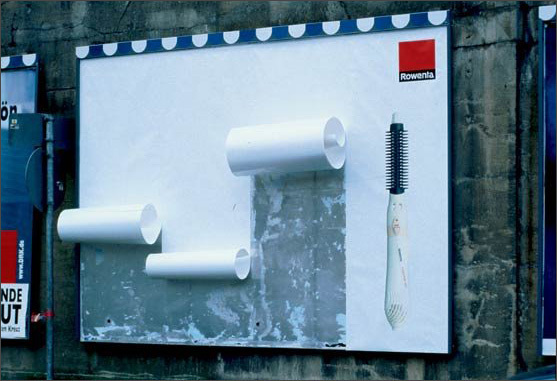 Collection of 'Clever and Cool Billboard Advertisements' from all over the world. Rowenta Hair Curler Billboard Advertisement: Rowenta Hair Curler is advertised on the billboard by making the paper curl up. BMW M3 Billboard Advertisement: A billboard was designed with a headline out of half letters and to complete them reflection on the shiny floor was used. 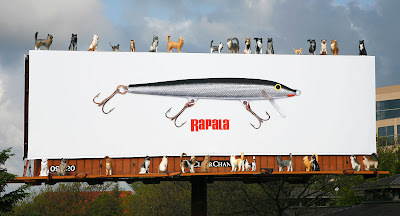 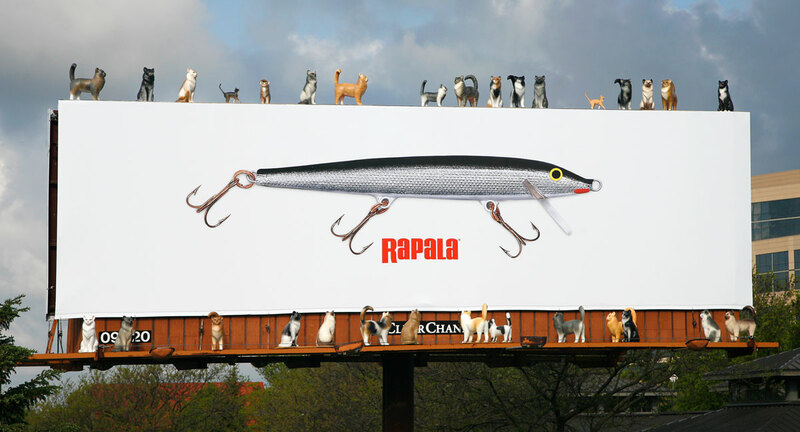 Rapala Fishing Equipment Billboard Advertisement: To show that their equipment is so good, even cats know if it's on the billboard, soon there'll be some fish there too. 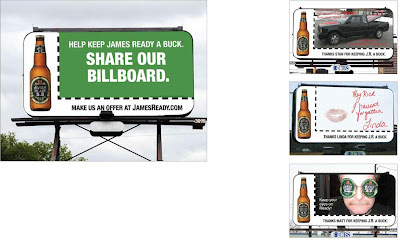 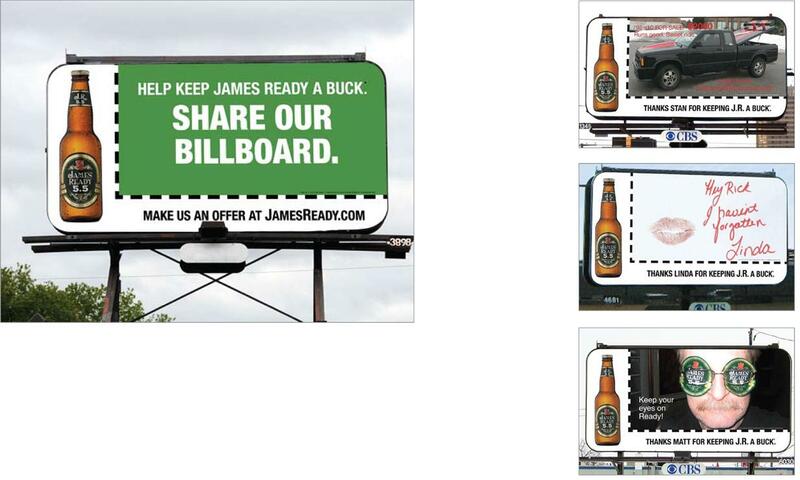 Jamesready Billboard Advertisement: A billboard that came with an idea to use content from people. 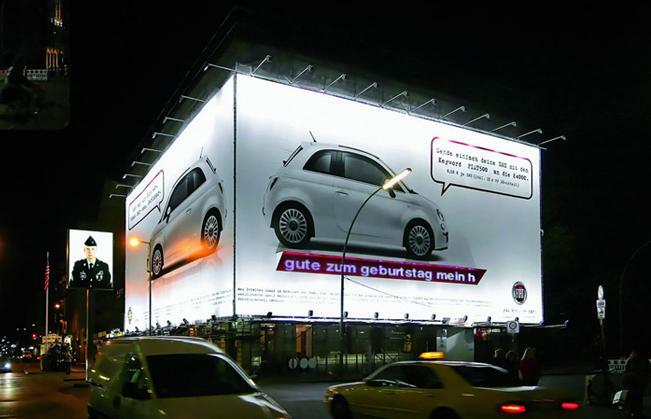 Fiat 500 Interactive Billboard Advertisement: In this creative project, four media channels; billboard, ticker, text message and Internet came together for the first time in Germany. 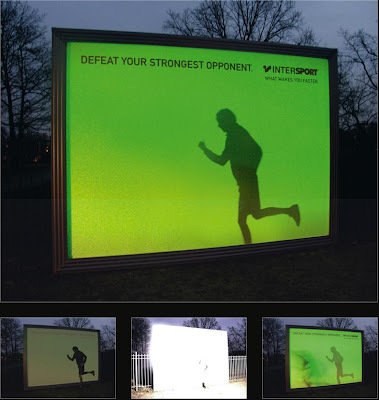 Passers by could text a message, then read it on the billboard's ticker minutes later. 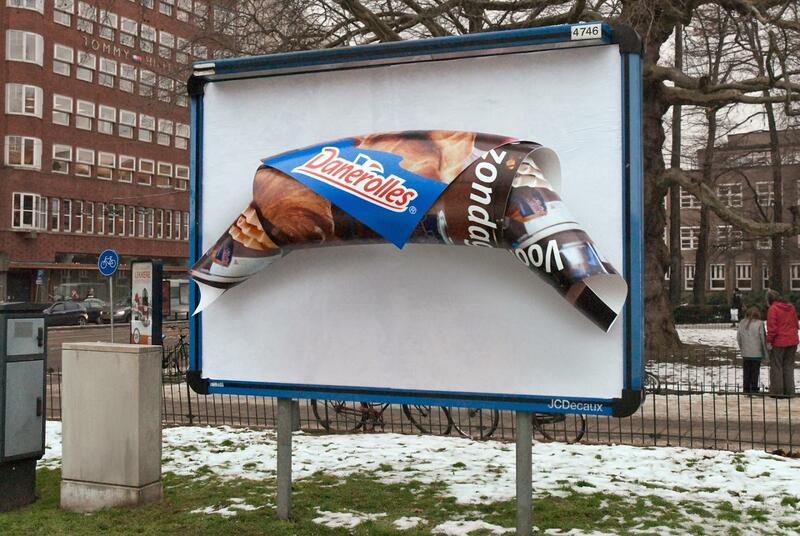 Danerolles Croissant Billboard Advertisement: An oversized croissant is a rolledup billboard poster for Danerolles; the ready-to-bake puffpastry for making your own fresh croissants. Intersport Billboard Advertisement: Intersport gave runners the chance to the defeat their strongest opponent: their shadow. 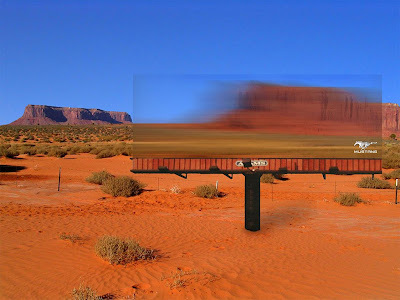 This billboard awaited the runners, when they passed by, their shadow was held on the billboard and they for the first time were able to run away from their own shadow. 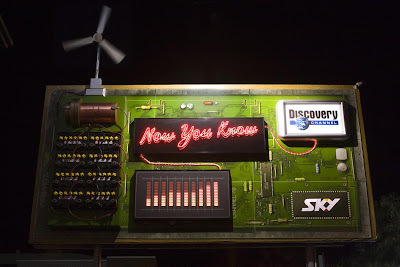 SKY Discovery Channel Billboard Advertisement: This billboard is a working model that advertised how wind power, solar power, and timepieces work. Ford Mustang Billboard Advertisement: The billboard is constructed from GE Lexan EXL semi-transparent resin, it accurately blurs the scene behind it regardless of day, weather or season. 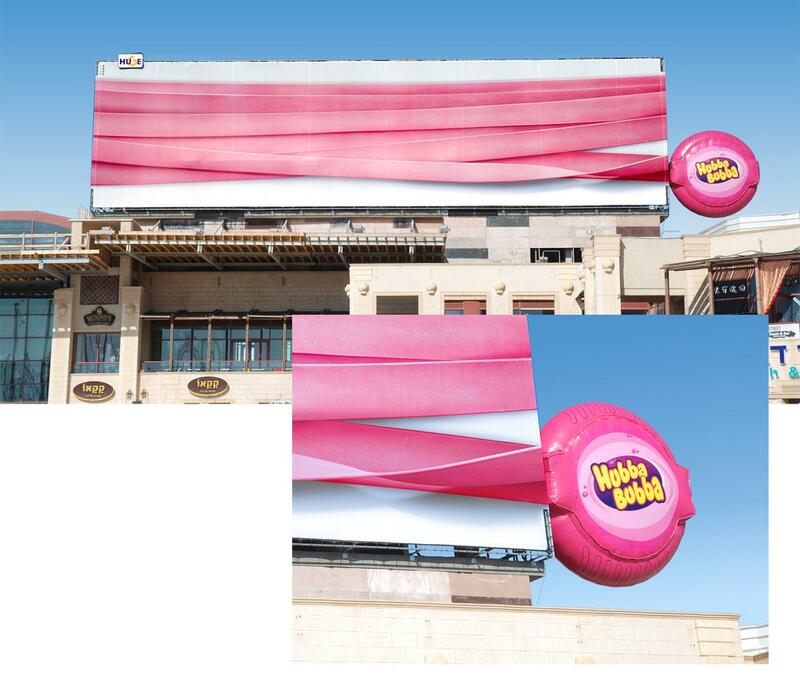 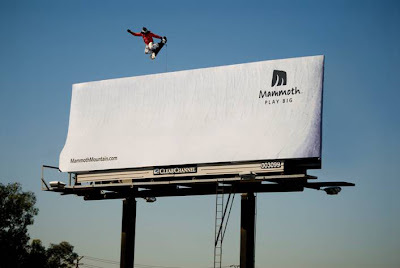 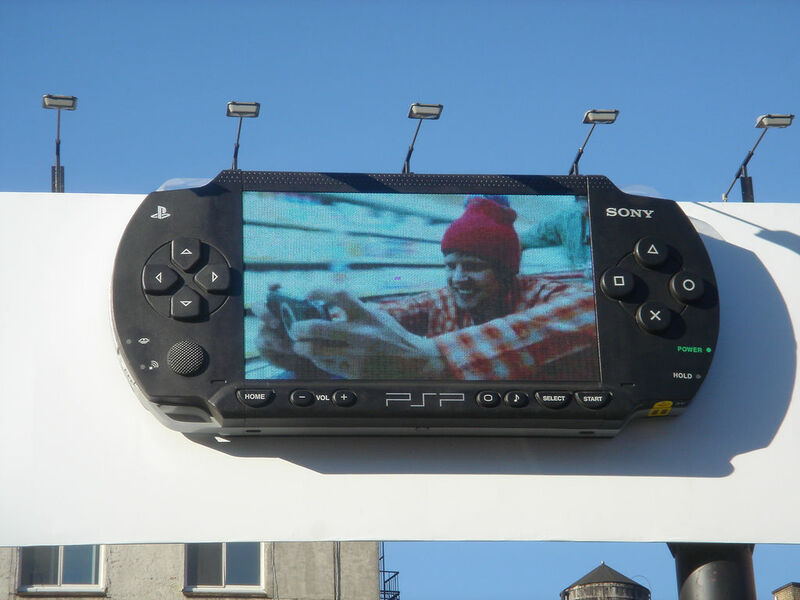 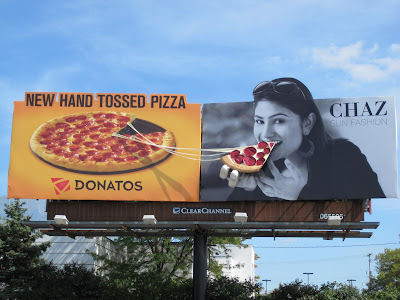 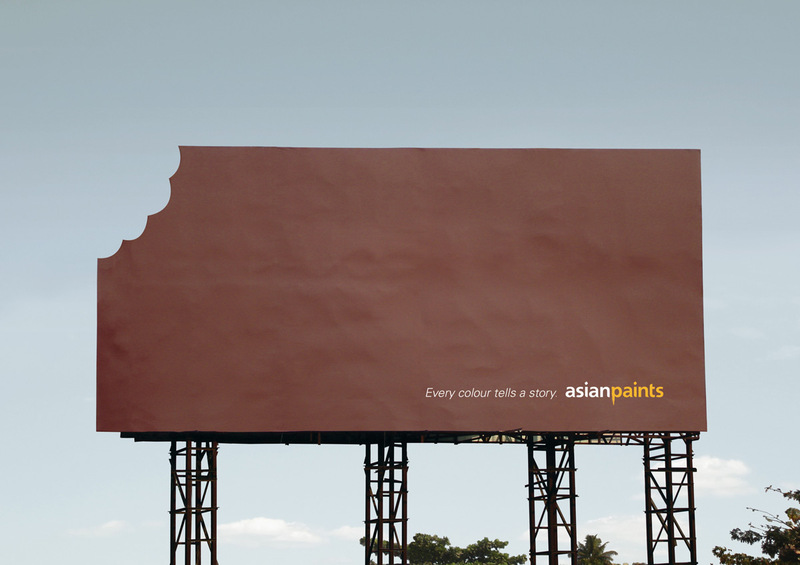 Don't miss to check out "Clever and Cool Billboard Advertisements - Part: 1| 2." 20 Creative and Cool Bookends - Part 2. 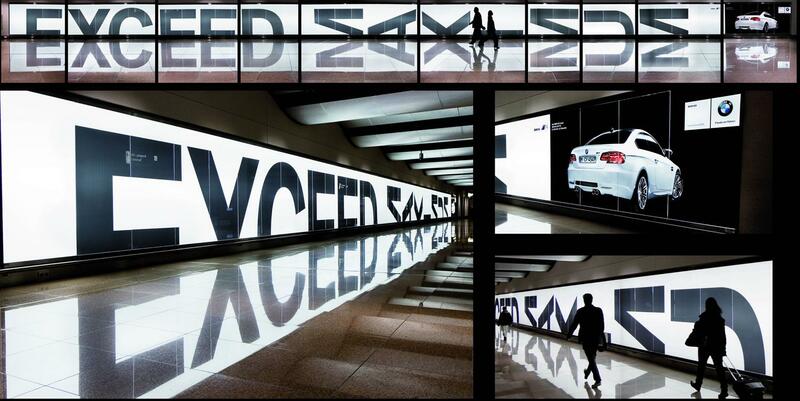 Creative Escalator Advertisements - Part 2.